Anne Marie Estevez defends clients in complex, class, and collective action employment, Americans with Disabilities Act (ADA), public accessibility, and consumer class action cases in US federal and state court. Fluent in Spanish, she represents a broad range of US and international clients in employment and labor-based cases nationally, from wage and hour to discrimination to trade secrets litigation. Anne Marie also counsels employers nationally in these areas, negotiates high-level executive contracts and terminations, and handles due diligence for complex employment and accessibility matters. 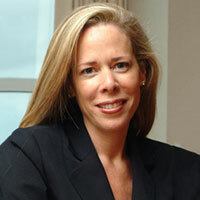 She serves as co-leader of Morgan Lewis’s retail & eCommerce industry initiative. In addition to her litigation experience, Anne Marie regularly advises clients on compliance with the ADA Title II and Title III and comparable state and local accessibility laws in all areas, from “brick and mortar” to technology issues. In addition to drafting and negotiating executive employment agreements that include contracts used in large mergers and acquisitions, she helps write company manuals and policies, and trains executives and employees throughout the United States. Clients regularly seek her advice on class action avoidance programs, compensation programs and issues, wage and hour issues, and a host of other employment-related topics. Applying her nearly 25 years of experience, Anne Marie also regularly serves as a mediator in complex class and collective action wage & hour, employment, and ADA cases for parties across the country. She has served as general counsel to the Congressional Hispanic Caucus Institute since 2014.